One of The Mother’s City top singing-doctors is set to launch a new CD later this month, with the sole purpose of using his passion to make a difference in his community. 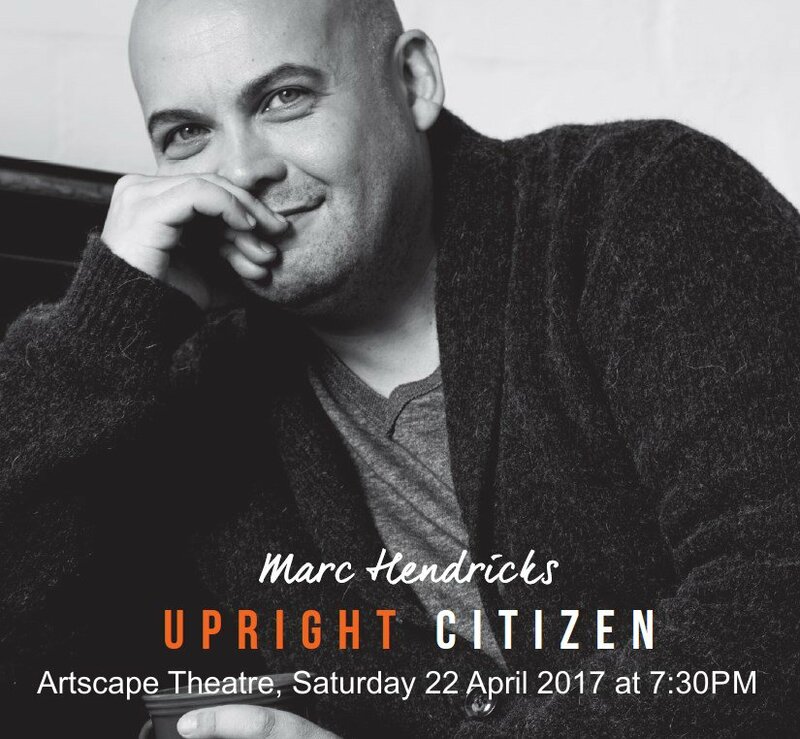 Upright Citizen is the début musical album released by singing-doctor Marc Hendricks, and he is set to dazzle Cape Town audiences at the Artscape Theatre on 22 April, for a one-night only performance. Dr. Marc is well-known to the Little Fighters Cancer Trust, as he is the much-loved and well-respected treating oncologist for many of our Little Fighters, who spend a lot of time at the Red Cross War Memorial Children’s Hospital. Proceeds of the show will be donated to Red Cross War Memorial Children’s Hospital for transformation initiatives. Dr. Marc, as he is fondly referred to by our Little Fighters and their Families, is a wonderful, caring, compassionate Paediatric Oncologist who also has the voice of an angel (listen to him performing his composition BIRD SONG on the video below). Please Support this Wonderful man! Mark Hendricks performing his composition BIRD SONG for the Faculty of Health Sciences UCT 100 Centenary performance. This is Marc’s fourth musical release, second full album and first solo album. Upright Citizen shares Marc’s stories, sometimes intimate, always honest traversing the story of his life, family and work inspired by his “earliest love affairs with music and creative writing”. Marc, who has been recording and writing music since the early 90s, says this CD has been “a long time coming” after his last release in 2000. Upright Citizen was arranged and recorded by engineer and studio owner, Paris Zannos, at Paris Studios in Cape Town in September 2016. The CD launch performance of Upright Citizen is directed by renowned actress and director Quanita Adams with musical direction by the quintessential Amanda Tiffin. The performance is set to feature some of the country’s premier musicians on stage: Amanda Tiffin (piano and keys), Kevin Gibson (drums), Shaun Johannes (bass), Dave Ledbetter (guitar), Marc de Kock (saxophone and flute), Farida Bacharova (first violin), Patrick Goodwin (second violin), Paula Gabriel (viola), Kristyan Chernev, (cello) and The UCT Jazz Voices. Ticket sales are open at Computicket and are available at www.computicket.com (search Marc Hendricks CD launch) or call the Artscape Dial-a-Seat facility on 021 421 7695 to book by credit card or contact the Box Office on 021 421 7839. Tickets are priced at R175 each. Concessions are available for block bookings of 10 or more, students and pensioners.